As a licensed naturopathic doctor and certified functional medicine practitioner, my passion is to empower women to achieve their current health goals. This is to remove the blockages of fear and worry of diseases and symptoms that keep them from living their passions and fullest lives. I help these women get to the root cause of their symptoms. I do my health detective work and utilize my knowledge of biochemical individuality and epigenetics to individualize a wellness plan that aims to bring their whole body back into harmony. We then work together to go over their wellness plan and find common ground on what they can and can’t do. Then, we find any hidden factors or blockages that will inhibit their body and mind from getting what they need to be optimized and revitalized. To accomplish all these feats, I do not work alone. True, I do combine the art and science of mind-body medicine (i.e., addressing emotional, spiritual/ higher-self connection, relationship quality, stress management, and self-care) with one’s own biochemical individuality (genetic predispositions) and personal history. Yet, the magic in the transformation is in our teamwork! My amazing clients provide their expertise in delivering their own truth and what works for them. I provide my medical, holistic, and human psychology training and expertise with my passion for biochemistry and emotional intelligence. If you’re interested in becoming more than a “client” or “patient” and truly partnering in a relationship that is honoring, healing, and mentoring, on both sides of the virtual desk, please inquire by filling out the contact form here! Remember though, strap your seat belt on. You are in for a an amazing, twisty, and sometimes murky journey to BreakFree of a mediocre, half-filled life into your own greatness. Sarah LoBisco, ND, IFMCP is a graduate of the accredited, four year post-graduate program in Naturopathic Medicine at the University of Bridgeport College of Naturopathic Medicine. This program includes clinical rotations along with a demanding scientific curriculum in integrating conventional medical training with natural medicine. Dr. LoBisco holds her naturopathic physician license from the state of Vermont. (For an overview of licensed naturopathic doctors and naturopathic medical education, please click here). See a more complete list of Media and Podcast appearances here. Dr. LoBisco has been involved in holistic healthcare for over 13 years. She became interested in becoming a naturopathic doctor when she was able to heal two herniated discs through nutrition, essential oils, yoga, supplementation, and chiropractic. 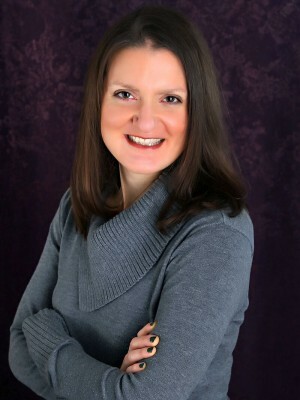 She has mentored with holistic, naturopathic medicine, and functional medicine practices throughout New York, Vermont, and Connecticut. In addition to her naturopathic medicine and functional medicine training, Dr. LoBisco has extensive training in a variety of healing modalities, including therapeutic essential oils, nutraceuticals, herbs, whole food supplements, nutritional medicine, and mind-body therapies. Dr. LoBisco has received her certification in functional medicine through the Institute of Functional Medicine (IFM). The Applied Functional Medicine in Clinical Practice coursework and Advanced Practice Modules are accredited by the Accreditation Council for Continuing Medical Education (ACCME). Dr. LoBisco is also certified in Applied Kinesiology and holds a BA in psychology from SUNY Geneseo. Due to her dedication and passion toward her profession and integrative health care, Dr. LoBisco has contributed as an item writer for the North American Board of Naturopathic Examiners (NABNE). She has also published several articles in the Naturopathic Doctor News and Review Digest (NDNR) and the Townsend Letter, both physician- based journals, and is also a hired speaker on integrative medical topics for medical professionals. Dr. LoBisco currently incorporates her training as a naturopathic doctor and functional medicine practitioner through writing, researching, private practice, and through her independent contracting work for companies regarding supplements, nutraceuticals, essential oils, and medical foods. She maintains her private wellness consultation practice through telephone consultations currently. Dr. LoBisco also enjoys continuing to educate and empower her readers through her blogs and social media. Due to licensing laws in NYS, her current role is as a consultant to provide support for wellness education and safe use of natural products and supplements. This is in order to enhance lifestyle and assist with re-balancing the body’s systems. She accomplishes this with her background in individualized, mind-body, and functional medicine.